The home was beautiful and spacious. We arrived with a small gift left on the counter that had essentials of dish soap, 1 dish washer detergent, 1 laundry packet, pen and a pad of paper. All the bathrooms had small packages of soap and full toilet tissue. Kitchen has a full paper towel. All the essentials you need when you first arrived. 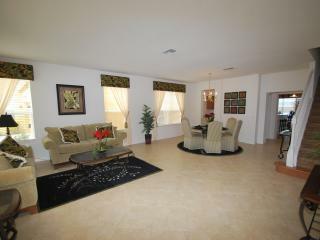 The house was clean, beautifully furnished. Kitchen was equipped with everything you need. The beds were very comfortable and linens were nice an crisp. There were enough towels for bathing and swimming. Laundry was fabulous located on the second floor. We had our grandson with us so it was great that there was a playpen available to use for him to sleep in. We brought our playpen mattress so it was nice an comfy for him. The high chair was a blessing also. There is a very new stroller there also but we had brought one so we did not use it. The pool- what can I say but, wow! Large enough for all 9 of us to use. The pool is enclosed with screening and there also is a removable fencing to protect your little ones from the pool. We had a couple of issues with pool heater but maintenance came instantly to fix. No problem and did not effect us swimming in the pool. No bbq, but we rented one from a rental company for $60 for the week ( includes propane) which they drop off and pick up. Worked out great for us. Large tv in livingroom and each bedroom. We would like to thank Iain and the BVR for a fabulous vacation. Dear Jamie & Crystal, WOW!! Many thanks for the perfect review, it really makes all our efforts to maintain the high standards our guests ,expect worthwhile. I must thank you once again for looking after our home so well, and would be delighted to welcome you to Belleair @ anytime in the future. I'm delighted you and your family enjoyed your stay in Belleair, Catherine. We do our utmost to ensure everything is perfect for our valued guests, and it is very gratifying when it is appreciated. 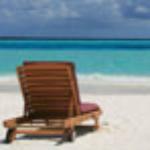 I thank you for looking after our home so well and would welcome you back to Belleair at any time in the future. Haste Ye Back!! Thank you Rosemary for the kind words,and for looking after our home so well.You will always be welcome at Belleair. Thank you so much,Andrew for the kind words, and for looking after our home so well, I'm delighted you and your party enjoyed your stay at Belleair. You would be most welcome to book with us again at any time in the future. This is the third time we've stayed at this beautiful villa and once again, it did not disappoint. We had such a fantastic time here, our family adore this house. Always spotlessly clean, and you just get that wow factor when you walk in the front door! It is by far the most well kept and tastefully decorated villa we've ever stayed in. We genuinely cannot fault this property, it's just beautiful and has everything you'd need to make your stay perfect. Thanks once again Iain for always answering any queries straight away, and just for being a joy to deal with - you guys make arranging this part of our holiday so easy. 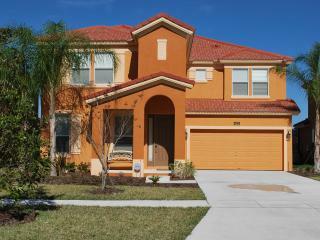 Beautiful home centrally located in Kissimmee area close to all major attractions. Iain and Connie were waiting for us when we pulled into the driveway. The house is huge and the six adults and one child in our group had more than enough room. We all used the heated pool every day and the view down the lake is priceless. The three ducks from the lake made their way up to the pool lanai every day for a treat from us and our grandson loved it. 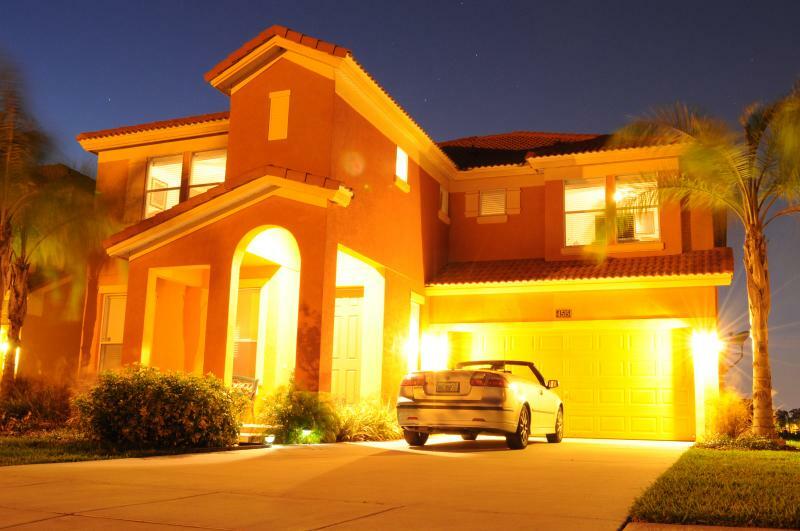 If you're looking for a large home in the Kissimmee area with all the amenities to rent then this is the one!